The consulting firm had already worked with Meir Kahtan PR and Qorvis MSLGroup. CHICAGO: Management consulting firm AT Kearney has selected Makovsky Integrated Communications to boost its global, regional, and practice-focused marketing after an RFP process. The work is beginning this month following a review process that lasted seven weeks. AT Kearney received ten proposals and spoke with four firms in person. "Makovsky’s professional services background and understanding of our firm really stood out for us and we hope this is a longstanding relationship," said Abby Klanecky, AT Kearney’s head of Americas marketing and global communications. The companies did not previously work together. Makovsky will be responsible for external communications and PR work for AT Kearney’s overall brand on a global level. It will also work with the company on positioning and PR in the Americas region. In addition, Makovsky will focus on practices and industry verticals such as communications, media and technology, strategic IT, strategy, marketing, sales, and the company’s global business policy council, Klanecky said. The scope of work includes media relations, news jacking, and integrated communications and media strategies for book releases and events, including social media, digital, and print. Klanecky could not share details about any specific campaigns the firm will work on. "AT Kearney produces a lot of intellectual capital from white papers and positioning papers as well as books," said Makovsky EVP Scott Tangney, who leads the firm’s financial and professional services division. "We will be helping them to promote those and assert their thought leadership." Four Makovsky staffers will work on the account on a day-to-day basis, including Tangney, group VP Kona Luseni, and SVP Michael Goodwin. Klanecky added that the company brought on Makovsky as its needs have broadened along with its expansion over the past two years. Its global partnership grew by 45 partners last year. The company now has 320 partners in 61 offices in more than 40 countries. "We need to create brand awareness and be understood and valued by clients in the industries we play in as well as recruit people from the top business schools," Klanecky explained. Makovsky joins Meir Kahtan PR on the company’s roster. Meir Kahtan has worked with AT Kearney since the company regained its independence in 2006 through a management buyout from the now-defunct technology consulting firm Electronic Data Systems. "Meir was our only PR agency for the past nine years, but our goals and focuses have changed as we have grown rapidly, and we saw the need to expand our roster of support," Klanecky said. "Now Meir will be more targeted in the areas they have been most successful in supporting us in to date, such as our content strategy, as well as a number of industry verticals." Makovsky and Meir Kahtan will work together to support AT Kearney’s Vision 2020, a two-year-old initiative aimed at becoming the "most admired firm" among the company’s peers. Since November 2011, AT Kearney has also worked with Qorvis MSLGroup, which will continue to aid the company in the public sector. 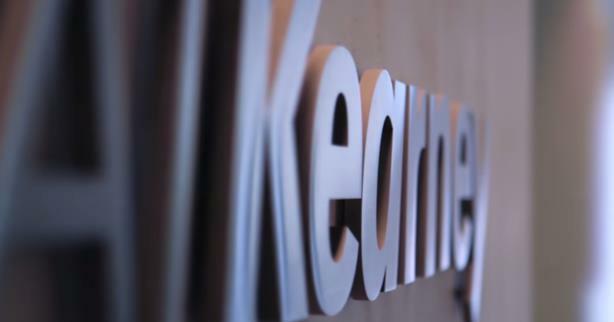 AT Kearney has an estimated 2015 budget of $150,000 to $200,000 annually for its Americas PR, and $250,000 to $300,000 for global, firm-level PR and communications, according to an RFP seen by PRWeek. Klanecky confirmed the amount stated was the correct budget, but declined to comment further.